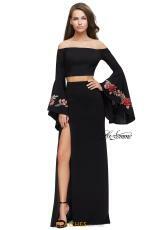 Stay on trend and wear this dramatic off the shoulder prom dress 25741 from La Femme to this years senior prom. 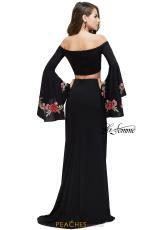 This chic two piece ensemble features a bell sleeve crop top style adorned with colorful floral embroidery and beading. Made is body conscious jersey fabric, the long slim skirt has a high front slit and back sweep train. 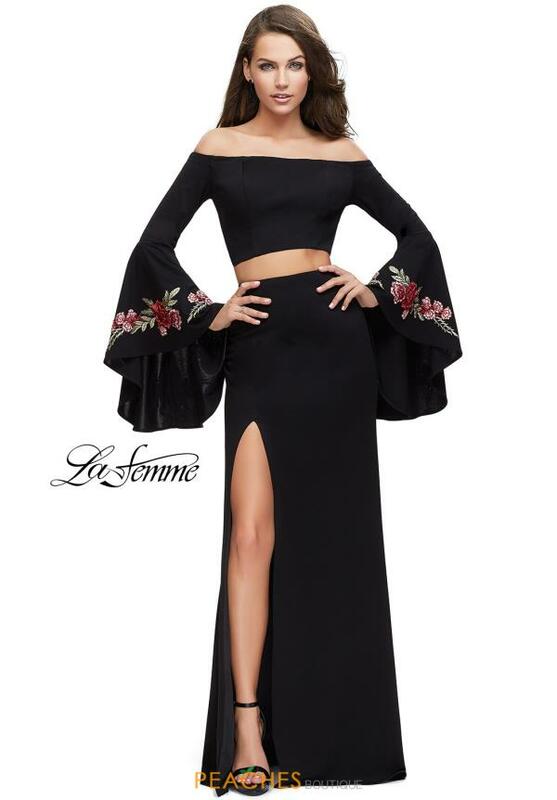 See more amazing La Femme styles at Peaches Boutique.